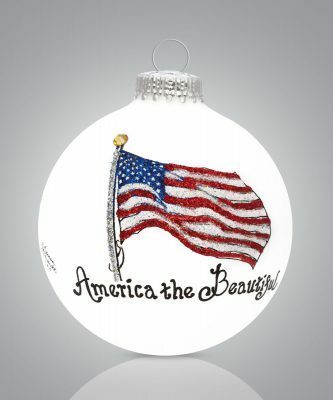 Whether you’re a veteran or your simply proud to be an American, this beautiful hand-painted glass bulb ornament is a wonderful addition to your tree. 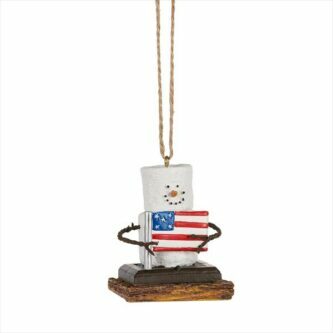 This ornament can be personalized on the back of the bulb to make it one you’ll cherish for years to come. Traditionally, hearts have been associated with love. Here the heart is wrapped with red, white and blue, the colors of the flag of the United States of America. 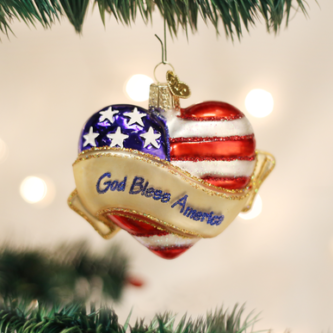 The God Bless America Heart stands for unity, freedom, and love of country.